The Minnesota Timberwolves might be heading for a disappointment of a season if they don’t string together some wins really soon, but the PR department is on fire. The Wolves marketing and PR gurus basically strong-armed Kevin Love into the starting lineup for the Western Conference and now they are making the push for center Nikola Pekovic to be an All-Star reserve. How? With only the greatest promotional material of all-time. 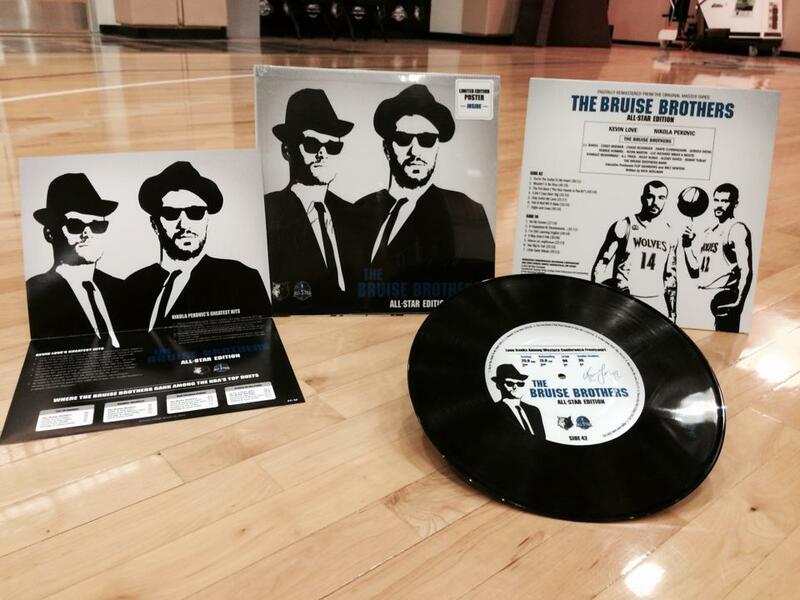 The Bruise Brothers… on vinyl! I typically love it when my favorite things are combined. Like say, Jimmy Fallon being a hockey goalie. If you combine sports, comedy or music in any sort of combination, I’m a huge sucker for it. It’s neat, it’s different and simply awesome. Well done, Minnesota Timberwolves. Now if only I could get one for myself! Read more about the vinyl from the man, Jon Krawczynski.